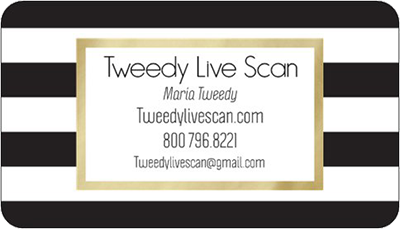 Tweedy Mobile Live Scan provides live scan fingerprinting services across the state of California. Take a look at the service locations below and schedule an appointment today! Mobile live scan services in Orange County. Mobile live scan services in Pasadena.